There is something inside me that keeps allowing me to sabotage myself. You know how you can realize the self-sabotaging behavior that you are committing as you are doing it. You understand that it’s not good for you to criticize everything that it is that you do, or to compare what you do to someone else that you may think is doing things better. You comprehend that there is a better way of doing things, a more effective way of accomplishing what you want but yet you can’t seem to catch yourself before you tear your own efforts apart. For some people it is really hard to get out of your own head and to think and live with your heart. There’s a lot of risk in doing that, in just going for it and taking a leap of faith in yourself, but it is worth it when you do. It’s so easy to have a leap of faith in what others can do but we can’t seem to put all that faith into ourselves. I keep feeling convinced that I finally have it, the unlimited faith in myself and my abilities to do whatever it is without question. But then I get that nagging voice in my head that won’t shut up and it tells me all of these negative things that I somehow start to believe, if only for a moment. They hold me up from making progress, and they hold me back from my destination. So I thought I would share with you what I keep struggling with and what still, despite my efforts for them not to, keeps allowing me to sabotage myself. I realize that being confident in yourself and in your own abilities to make things happen is not a practice that is just inherited and that you are born with. It is something that you have to work hard at. It is a practice that you have to maintain and treat as a routine occurrence in your everyday life. Particularly for those who may not have a positive support system, or may not have ever had very much of one, it is a struggle to believe that you deserve the best. When you have so many obstacles that stop you along the way that you lose count, you can tend to get jaded in your thought process and in your effectiveness within your work. It’s not something that most people have not experienced and it is probably a problem that isn’t going away any time soon. I am working on an ebook (details on how you can get a copy coming soon) on how we as writers, artists, or creative types in general can start to get out of our own way and stop sabotaging our own dreams and our own business endeavors with this self-doubt that we create in our own heads. We have to stop being so in our heads and start living from our hearts. We have to stop second guessing everything and changing our own minds or basing our level of success on what someone else’s is. Life is so short and tomorrow is not promised to us so we have to get out of our own way and start making the best of our life now, not some day in the not so distant (or distant depending on who you are) future, but right in the moment that you are in. I try not to compare my journey to the journey of others and I try not to be envious of the opportunities that I see other people receive and then just throw away. I know that it is something that you are not supposed to do and it really doesn’t do any good because it doesn’t make your journey any more or less complicated than what it already is. It gets hard when you see people in the media who seem to be throwing their wonderful opportunities that they have worked so hard to attain right down the drain. But then I remind myself that my path is mine for a reason. It is constructed however God decided to construct it and the obstacles that fall in my path are what God is using to prepare me for the next level of my journey that he already has mapped out. I just have to keep fighting for my opportunities and removing my obstacles one at a time until I reach the destination that is in store for me. I really have to start remembering not to regret the mistakes or the bumps along the path because those will be the same mistakes and bumps that are going to catapult me to my highest destination possible. I suppose that I should stop wishing for another journey because then I may not like the results that come along with the change. 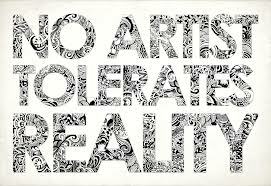 Does the Reality of Being a Writer Take the Creativity Out of Being an Artist? I was thinking about when I first realized that writing was something that I wanted to do for the rest of my life. There’s something about what power words hold. To think of how you can change people’s lives, and perhaps even reflect changes within yourself with something as simple as words. I remember when I first started writing poetry and jotting down ideas for novels that I didn’t know how to begin just yet. I remember knowing that someday I wanted to be published, even a New York Times Bestseller, but at that moment writing was just fun for me. Well maybe fun is the wrong word, freeing would be more like it. It was a way for me to express emotions that it didn’t seem okay for me to express to anyone else. It was a way for me to cry out about some of my childhood experiences without actually screaming out loud. It was how I displayed the real me. I was ten when I started writing and even all the way through high school there was no pressure. I wasn’t shopping anything around to publishers and agents hoping to be in bookstores (not then anyway). However, with the desire to be published came so much pressure and so many fears and yes even unrealistic expectations. I think I thought back then that someone would just read my work and see me on a page and accept everything that I put before them but that was very unrealistic. What was also unrealistic in my thinking back then was that being a writer didn’t involve some sense of business savvy to go along with it. Being a writer when you are young and only focused on the creative aspect of it is simple, easy, freeing. There’s no pressure involved and no headaches with trying to figure out how to make it work for you financially and still keep your artistic integrity. Making a full-time career out of being a writer is hard, and it takes work, and it places a lot of pressure on your shoulders. I have days where I truly feel like the reality of being a writer and thinking about marketing and promotion and how to earn more money doing what I love to do has in some way stripped away the joy of actually writing and creating plots and stories that will captivate people. I made quite a few mistakes in my journey to get published that I would change now if I could go back but I suppose that instead of regretting them I could treat them for the lessons that they have become. Maybe some days I should just take time to go back to being that writer in high school who didn’t have the pressure of trying to be a widely successful writer. I think that focusing on the creativity some days instead of stressing over the business of it all will possibly allow me to get back to actually being productive in my writing. So my question to you guys out there is this: Do you ever think that having to be your own business person as a writer gets in the way of your creativity as a writer? Were you a better writer before you tried to make it your business? Every now and then some (not all) writers start to feel like they may be losing their passion for the craft. It most likely isn’t because they actually don’t want to write anymore. Rather because they are stalled in the current project that they are working on. The answer is not to start separating yourself from your craft, or to give up altogether. Yes sometimes you may need to take a small step back but make sure that it is a very tiny step and not you completely letting something you love drift away from you. I want to give some suggestions of some things that you could do to spark that passion inside of you again that you might feel is weaning. 2) Go through things that you have written in the past. Go as far back as some of the first pieces of writing that you did. 3) Watch movies that inspire you and your love of writing. Whether it is movies about writers or writing in general, or whether it is a movie that provides you with inspiration for the screenplay you want to write, something that sparks your creativity for a story line of your own. 4) Do something that fuels your creativity. Go to a museum, go to an art show, go see a play, go to a writer’s conference, or if you are into nature, just take a walk and observe the things around you. I know that feeling when you start to question everything you thought you knew about your talent and your writing abilities. You start to feel like you aren’t as passionate about this as you used to be. You begin to wonder if the fact that your current project is stalled or that you’ve just been hit with writer’s block means you’re no longer supposed to be writing. You’re not as productive as you once were. None of this is a reason for you to just give up on your dream. It’s a reason for you to find that spark again and reignite that passion that you had to begin with. If you are feeling a little unproductive and like your love for writing is in question, your passion is not gone. It may just be a little lost, but it can be found again. Keep going and find a way to reignite that spark. I’ve done it more times than I can count. Not only that but I never even gave a second thought as to what it is I was really doing. I’ve wished away all of the bad things that have ever happened to me at one point of my life or another and I’ve regretted so many past mistakes that were made and wonder what if I could go back and change things. 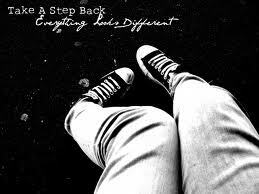 It really is no way to live, always wanting a do-over and never wanting to make one single misstep. Knowing what I know now, after much growing and lots of learning, honestly if I could I may just go back and make even more mistakes in my life, on purpose. I know that sounds crazy. However, if you really think about it, can you really say that all of your mistakes and blunders did not get you any kind of unexpected reward or bless you in some way that you didn’t even know that you needed it. The more mistakes that you make the more life lessons that you learn and there can never be enough lessons learned in life. But most importantly, if you have lived a perfect life, a life with not one mistake and not one regret, did you really live life at all. 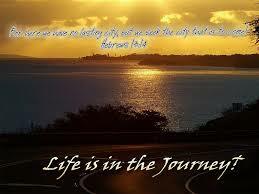 Can you really enjoy life taking such careful steps in it that you never step out of bounds? When I think about the not so ideal childhood that I had and all of the things that I once would have liked to forget, they were some of the toughest things I have ever been through. While they weren’t pleasant and certainly not perfect, looking back, they made me stronger and I believe now that they were a part of the preparation that I needed in order to eventually fulfill my purpose. I don’t think that I would be the person that I am now without the struggles that I went through then or even the ones that I have recently experienced. Our mistakes, the things we regret, the obstacles that we struggle to get through, they are what builds our character. They strengthen us for the greatness that we are destined to achieve. They help to prepare us for the journey that we are on to fulfill our purpose. They provide little blessings along the way that we would have never had otherwise. So stop regretting the mistakes you’ve made in the past. 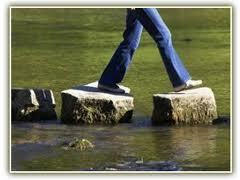 Don’t treat them as events that have held you back, treat them as the stepping stones that can propel you forward. With great risks comes even greater rewards. I realize that I have slacked off a lot lately in my writing. Or at least that is what I think until I realize that I have kept up pretty well with this blog and other articles that I am writing for other blogs and publications. Let’s not forget that I am still in school finishing up a Master’s degree so that is not to be taken lightly. I am really hard on myself. 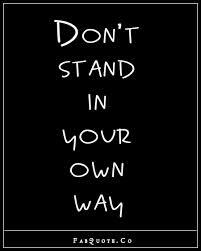 I am my own worst critic but then again I think most of us are highly critical of ourselves. But when do we ever stop to take a step back to really look at the progress that we have made. I was talking to Ms. L. last night and we were talking about our journey’s and I was telling her that while I know that most people don’t understand certain choices that I have made, and if I am being honest some days it doesn’t make sense to me either, but I feel like the path I am walking is the one that I am meant to walk. It may be unconventional (that would be putting it mildly) and it may not be the most common sense choice (to other people who don’t have to walk in my shoes) but I just know that it is the right one. I told Ms. L. last night that when I do reach my destiny, when I achieve the purpose that God has for me, it will all make sense and then everyone will wonder why they ever questioned my choices. Truthfully they weren’t solely my mine. They were what I was being guided to do. Knowing who I am and that what God has for me is nothing but good, I have to trust the path that I am on. I am working on not being so harsh on myself and on the lack of productiveness that I feel is taking place within my work right now. I just have to remind myself to take a step back every once and a while. Survey everything I’ve accomplished, everything that I have been through and the person that I have grown into. I have to acknowledge that everything may not be the way I want it to be right now and I may not be in the position that I feel I should be in right now but I am right where I should be and everything is just as it should be. It’s the way God has designed it to be. When you think you’re not doing enough, that you haven’t moved an inch, take a step back and just look at where you were compared to where you are now. I guarantee you that, even if it is small, you will see a difference! 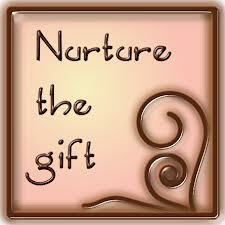 Are You Nurturing Your Writing Craft? So I’ve been sitting here thinking about all of the novels that I have started and not finished in the past. I love when I go back and read something that I’ve written and I start to think “I wrote this” in amazement that it actually reads like something other than mess that I thought it would read like. But there are the works that I have almost, but never completed that I will read over again and see that the person that wrote that specific piece of writing definitely needed some work and to study her craft. Over the years I have done just that. I have picked up and read any book that I could get my hands on about specific genres that I wanted to learn about writing, or books on technique and point of view. There are so many ways that I feel I can nurture my craft and make myself an even better, and a more confident writer. I consider my writing to always be a work in progress. I think that when you are a writer, you are never really finished learning when it comes to your craft. I wanted to share with you some ways that you can work on nurturing your craft as a writer. 1) Of course read books on your craft or the craft that you want to direct yourself towards writing. Whether it is mystery, young adult, science fiction, suspense, drama, or even plays, study it. 2) Make sure to read the kinds of books that you are trying to write. If you want to be a mystery writer, then read as many mystery books as you can get your hands on. If you want to write young adult novels then read plenty of young adult books. No matter what you do, just read! 3) Research other writers. Not just their writing, but research their lives, their philosophies, their values. 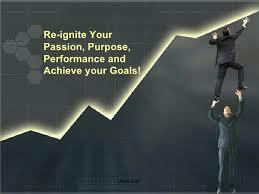 Research how they achieved and maintained their success. 4) Attend writing conferences and workshops to learn things about your craft from a different perspective. There is only so much that you can learn from a book without visibly seeing someone who has put these techniques into practice. 5) Pay attention to the work that is being produced that is along the lines of what you want to do. If writing movies is your thing, watch the movies that inspire you and that have made you want to write films in the first place. If it is plays, then go see as many plays as you can feasibly manage to go and see. You have to be able to see that what you want to create is possible and a reality that you can make happen if you want to badly enough. Writing, despite what some people might think, is something that is not easy to do. It’s not as if you can just pick up a pen (or open up a computer) and just start writing seamlessly. It takes research, and preparation, and a lot of time and writing is certainly not for people who want to make a quick dollar (that’s not to say that you can’t make money writing). It is easy to get comfortable within our writing and our own style of writing and sometimes we forget that to grow we have to keep nurturing our skills as a writer, keep sharpening them, so to speak. You don’t want to get stuck writing the same thing every time you work on a new project. You don’t want readers to read book after book of yours and start to think that your writing is predictable and like they are reading the same type of book every time they pick yours up. Don’t stay in that comfortable spot within your writing.